Home News Celebrating 50 years of peaceful use of Outer Space on Stamps! Celebrating 50 years of peaceful use of Outer Space on Stamps! 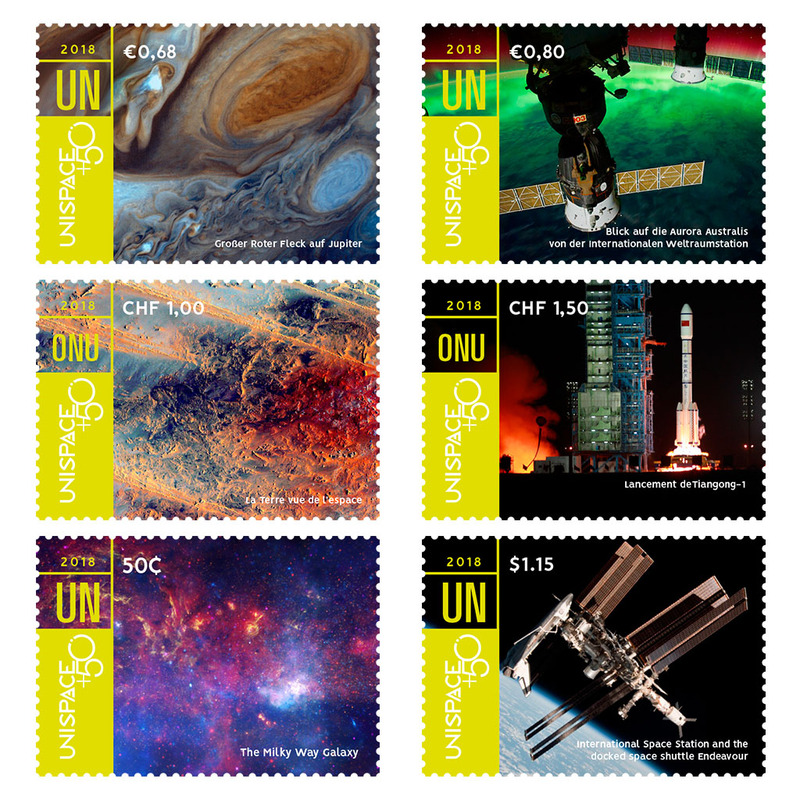 The United Nations Postal Administration issued a set of six stamps to mark 50 years since the world first came together to discuss the peaceful use of the outer space. This event was held in Vienna, Austria in 1968, this meet was called UNISPACE I and around 78 countries participated in it. These stamps illustrate human beings’ achievements in space and the benefits of the space exploration. The first stamp represents the image taken in 2011 by an Italian Astronaut Paolo Nespoli of the space shuttle. The image on the second stamp was of Russian Soyuz and Progress spacecraft set against green glow. The third stamp illustrates the image of Egypt as seen from the space. The third stamp’s image shows the Tiangong-1 China’s first prototype. The fifth stamp shows the great red spot of Jupiter and the sixth stamp depicts the Milky Way galaxy.